Whether you began hunting at a young age or picked up the trail later in life, teaching your child how to hunt whitetail deer teaches discipline, responsibility, patience, and respect for the natural world—all skills that parents want their children to gain as they grow. But hunting takes time to learn and even longer to master, and sometimes it can be difficult to know where to begin when you have a young aspiring hunter looking up to you. That’s why we’ve assembled some advice on getting youngsters started in hunting whitetail deer. There’s no “right” age to begin bringing your child along with you. If your child has begun asking questions about hunting, wants to be involved in the butchering process when you bring an animal home, or is asking to go with you on hunts, then it’s probably time. When your child is ready to begin shooting, start with smaller game animals. Squirrels and birds help your child develop their skills before moving on to larger game. It’s on you to ensure that your child’s early experiences with hunting are as positive as they are informative. Involve your child in the planning and decision-making process. Talk to them often about the hunt, and celebrate their successes. Turn mistakes into teachable moments, and know when to call it a day. Pushing a child too hard will turn their excitement to obligation, especially when they feel overwhelmed by challenging conditions or lack of confidence. Once your child is ready to hunt larger game like whitetail deer, slowly work them up to taking their own animal. Take your child along for some co-sits in a stand or blind, have them help you follow a blood trail after you’ve taken a whitetail, and use these opportunities to ask them questions and test their skills. If necessary, give your child a pass on field dressing—for inexperienced hunters, every shot inspires a wide range of emotions. If they’re comfortable, have them help to dress the animal as you point out organs and other anatomy. Explaining each step of the process can take some of the mystery and discomfort out of the experience. 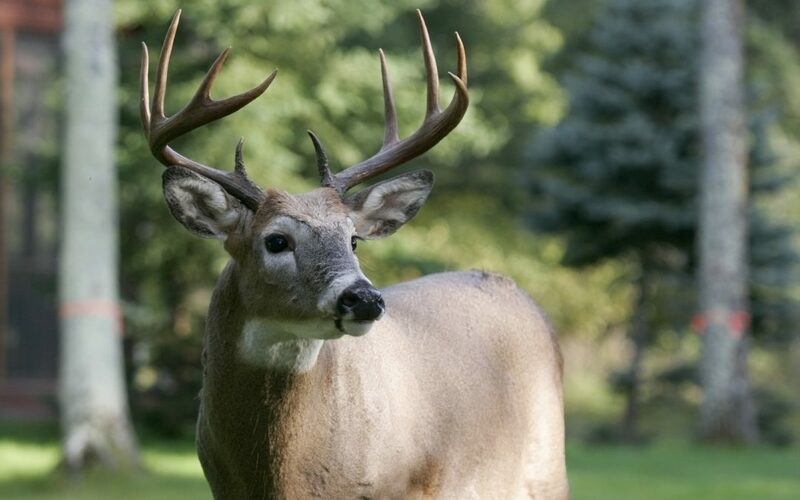 Oak Creek Whitetail Ranch is a world-class Missouri whitetails destination and our experienced guides tailor each whitetail hunting trip to your needs. You and your aspiring young hunter will get the best hunting experience possible. Visit us online today to learn more and begin planning your child’s next hunting experience.